Does Reese’s Want to be the Official Candy of the Vatican? Using this spelling, the past tense would be “poped.” Have you ever seen popcorn poped? Or a balloon poped? 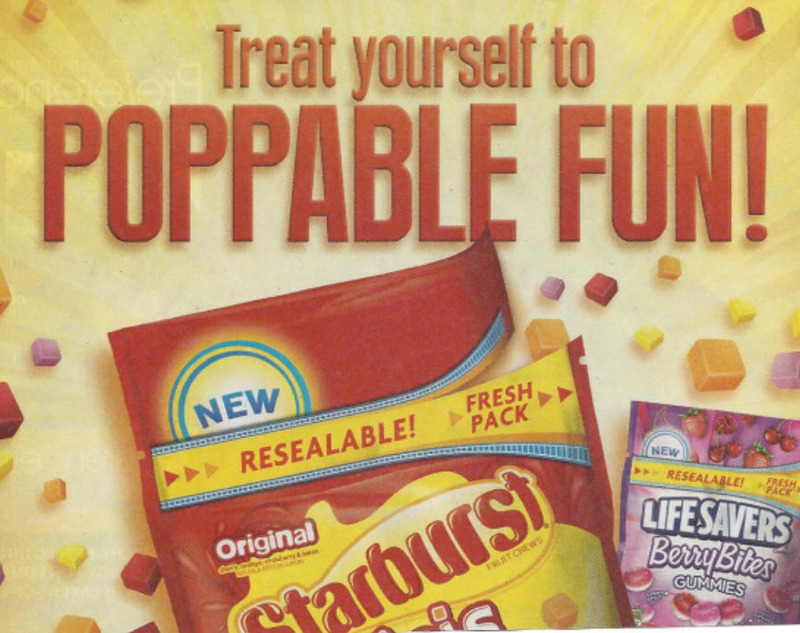 Soon after, I came across another ad with similar wording, for Starburst® candy. I don’t think the double “p” detracted from the message. Do you? Now I wonder if they’re hoping Pope Francis will notice and perhaps cut an endorsement deal. Words get made up in advertising all the time. But they work only when they’re clever and not spelled so that literate potential customers will be inclined to mispronounce them and miss the point. 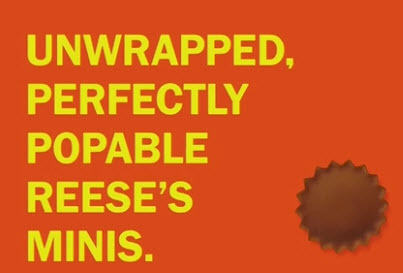 Maybe Reese’s thinks dropping letters appeals to the texting set, who don’t put a high premium on spelling. They’ve obviously spent a fortune spreading this error far and wide. And people wonder why Johnny can’t spell. Now they just look perfectly ignorant.